Bemidji State University’s Student Center for Health and Counseling will host a March 3 panel discussion on mental health awareness as part of its continuing effort to reduce the social stigma that surrounds mental health and the stigmas surrounding people who seek help for mental health-related issues. 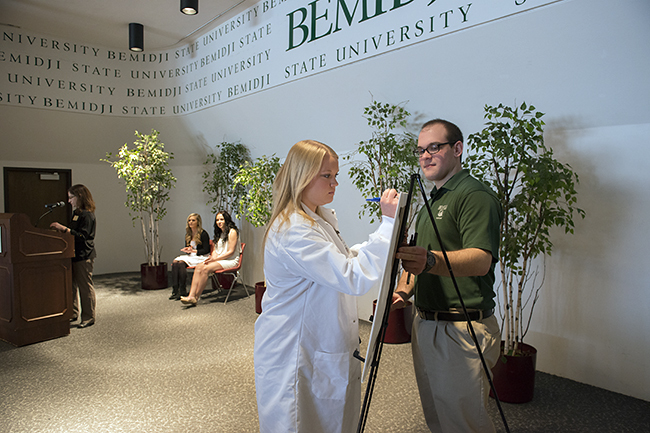 Bemidji State University’s faculty and staff are displaying their artistic talents at the sixth annual Midwinter Interlude art show, opening March 2 in the university’s Ramsey Gallery. A touring exhibit featuring work by ceramic artists who have won McKnight Fellowships or Residencies from the Minneapolis-based Northern Clay Center is coming to Bemidji State University’s Talley Gallery. 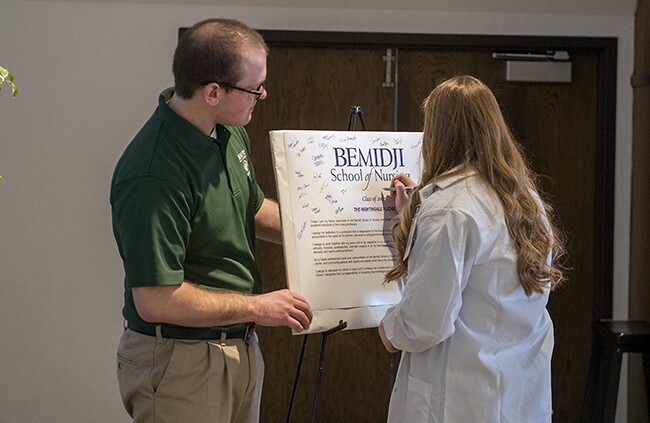 Several hundred Bemidji State students and many community members were in attendance as Minnesota Public Radio visited campus to discuss its six-part series, “Climate Change in Minnesota. 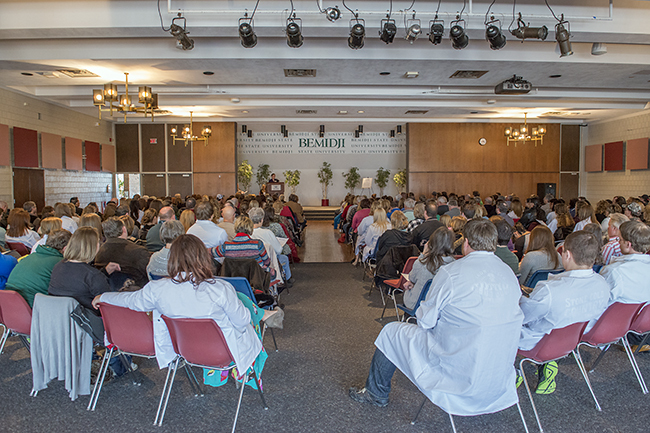 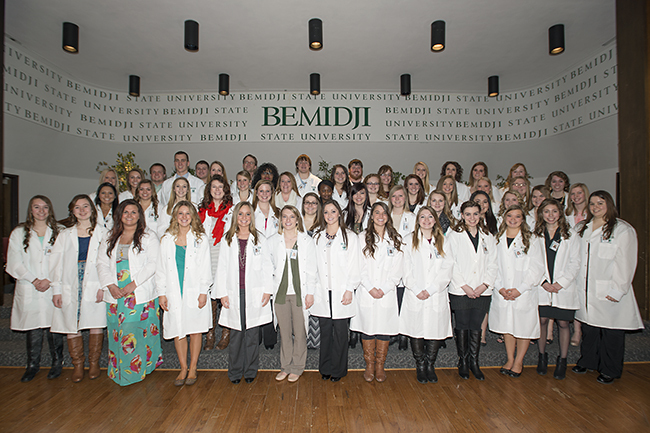 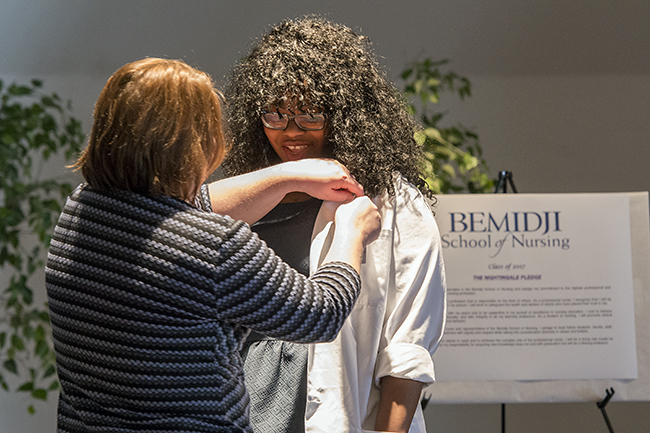 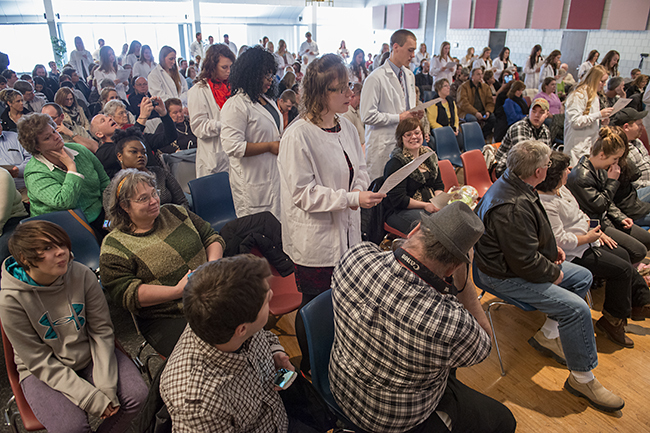 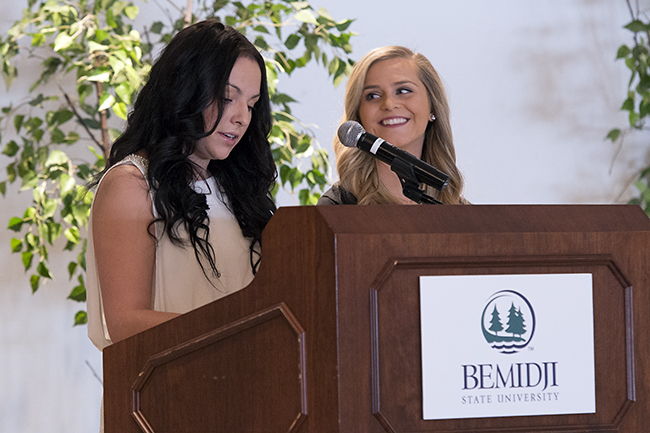 Bemidji State University officially welcomed more than 50 students into the Bemidji School of Nursing during its 2015 induction ceremony. Each incoming student had a name tag ceremonially affixed to their lab coats and signed the Nightingale Pledge during the event, which officially marked their transition into the study of professional nursing. “Reaching for Light,” the 16th annual album by Bemidji State University’s Bemidji Choir and Chamber Singers, is available for purchase through the Department of Music. Minnesota Public Radio is bringing a conversation on its extensive series, “Climate Change in Minnesota,” to the Bemidji State University campus for an open forum on Feb. 24. 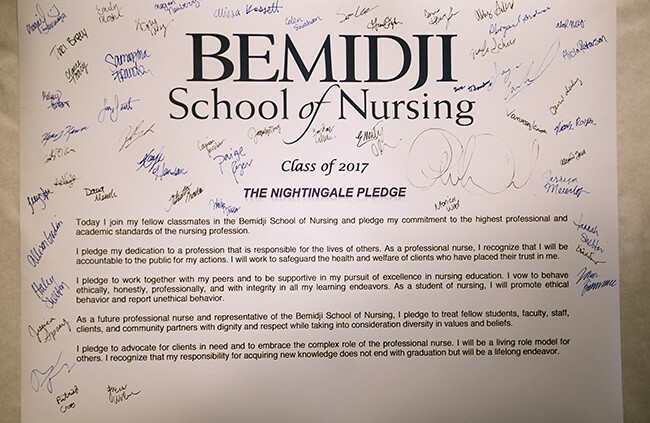 The Bemidji School of Nursing at Bemidji State University and Northwest Technical College has announced departmental scholarship recipients the 2013-14 school year for students in the four-year baccalaureate program. 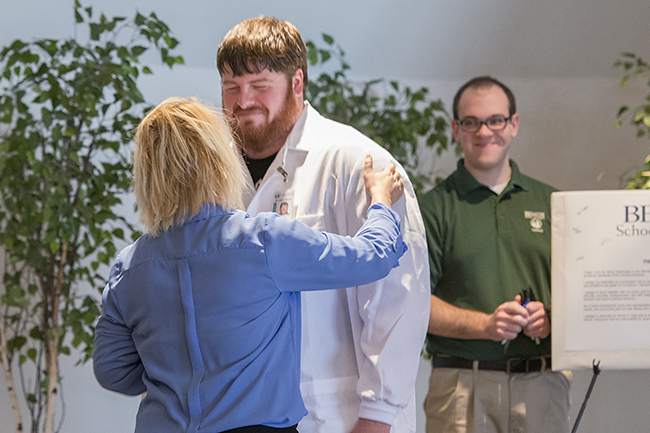 Professor Alan Chapman of the University of Oxford, lead lecturer on Bemidji State University’s Eurospring Program, has received the 2015 Jackson-Gwilt medal from the Royal Astronomical Society. Dr. Anton Treuer, executive director of Bemidji State University’s American Indian Resource Center, has announced that he will step away from his position and return to the BSU faculty, effective at the end of this academic year.